Make a versatile addition to your everyday shoe collection with these women's black square toe shoes. 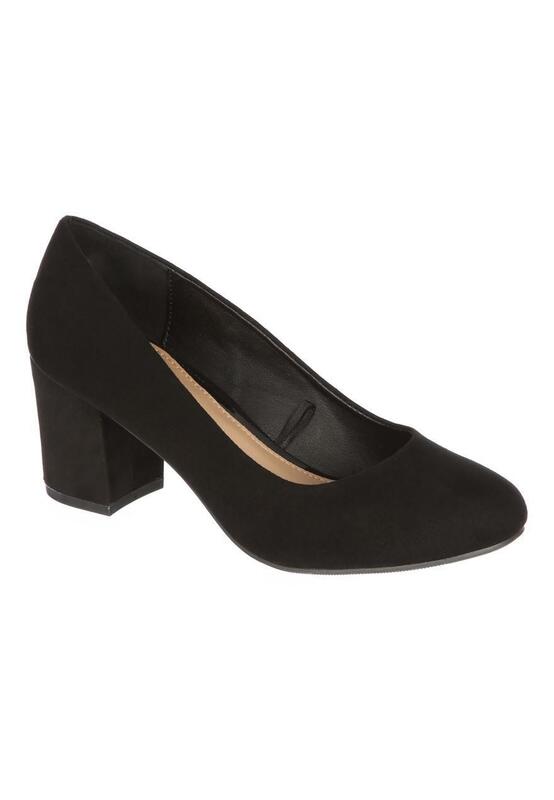 With a round toe and a low block heel complete with increased padding for improved comfort, these shoes are perfect for both smart and casual occasions. Nice shoes and great price. Happy with purchase. I love the shoes, ideal for the office, unfortunately sole and upper came apart on one of shoes so I had to return them, I have bought same shoe as replacements though. Perfect fit for my wider than average feet. I love them. Fit perfectly, they are beyond suitable for work. Smart and comfy, what more could i ask for! Haven't had a chance to weath them yet as been off work but tried them on and they fit perfectly. Love the height of these shoes not to high that I can't walk in them, fit well good price.